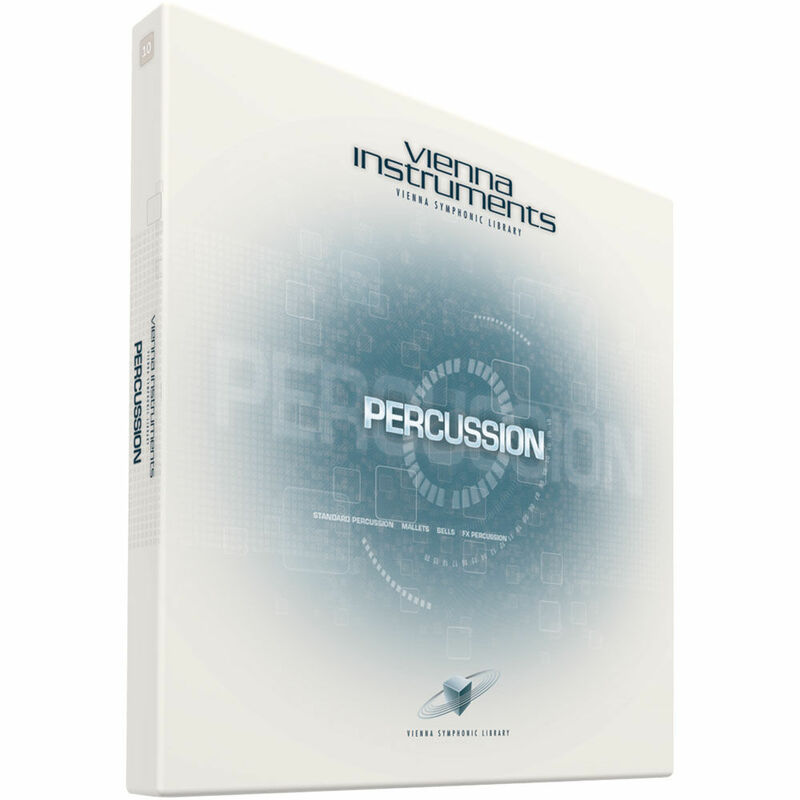 Percussion Upgrade to Full Library from Vienna Symphonic Library provides additional articulations and samples for the percussion virtual instrument Standard Library (required). The complete sample-based virtual instrument contains all of the percussion instruments of the orchestra, with many of the instruments available in an additional second version. These include the Timpani 2 (with up to 8 velocities,) snare drum 2 (up to 12 velocities, with and without snare,) bass drum 2, field drum 2, tambourine 2, triangle 2, suspended cymbals 2 and a-due cymbals 2. Also included are concert toms, roto toms and Taiko drums. The collection also contains production-ready instruments, processed with high-end studio equipment and put into the right aural perspective using multi-sampled convolution reverb from the Vienna Symphonic Library's MIR development program. 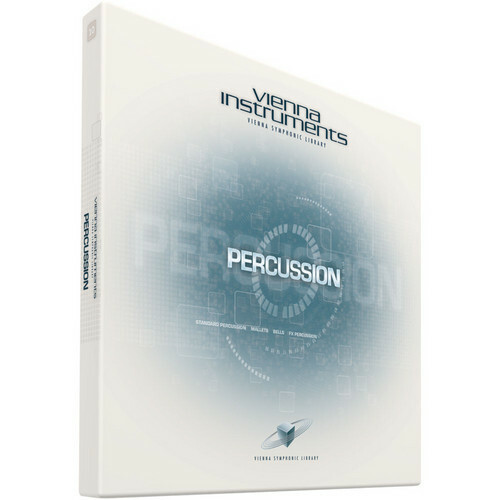 The basic percussion instruments (timpani, snare and bass drum, tambourine, suspended cymbals, a-due cymbals, glockenspiel, triangle, xylophone, tubular bells, tam-tam and concert toms) are available not only as samples with minimal reverb, but also with the reverb of the world-famous Wiener Konzerthaus in various stage positions. Load times are extremely low and sixty-four stereo voices per instance can stream from the hard disc. A RAM optimizing utilities clears unused samples out of RAM. Users can easily create their own instruments, using "drag and drop" functionality, and the instrument provides the ability for velocity crossfades and release control to be switched on or off in real time.